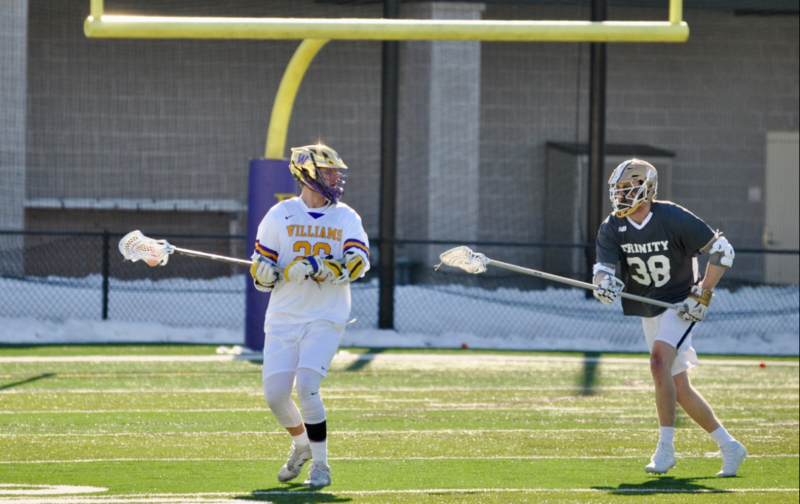 Men’s lacrosse attacker and last season’s leading scorer Kevin Stump ’20 scored 6 goals in the first two games of the team’s season. Photo courtesy of Sports Information. Isaac Freitas-Eagan ’22 was one of only three first-year skiers in the region to qualify for NCAAs. Photo courtesy of Sports Information. In a thrilling weekend of NCAA tournament games in Clinton, N.Y., No. 19 men’s basketball (23–7, 6–4 in the NESCAC) knocked off No. The women completed season sweeps of both Middebury and Amherst to claim the NESCAC title in Lansing Chapman Rink. Photo courtesy of Sports Information. Henry Feinberg ’20 scored an emphatic dunk off a missed 3-pointer in the second half against Husson. Photo courtesy of Sports Information. Briana Scurry, a two-time Olympic gold medal-winning goalkeeper for the U.S. women’s national soccer team (USWNT), gave a talk at the College on Feb. 26, discussing her landmark career, the fight for women’s equality in professional soccer and her current work educating the public about the dangers of concussions. Scurry spoke to a crowded Paresky Auditorium of students and Williamstown residents. 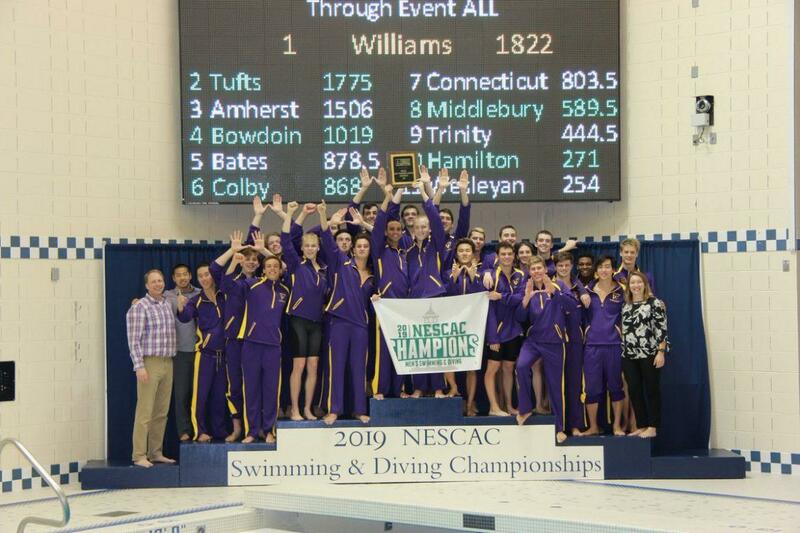 The men scored 1822 points, narrowly knocking off defending champion Tufts by 46.5 points. Amherst finished third with 1506 points. James Heskett ’19, the 2017-18 NESCAC Player of the Year, hit two early 3-pointers and finished with 15 points in a team-high 36 minutes. Photo courtesy of Sports Information. In a NESCAC semifinal matchup, No. Anna Passannante ’20 won the mile with a personal best of 4:56. Photo courtesy of Sports Information. After placing second at NESCACs on Feb. 3, No.